is an actress, performance artist and chanteuse hailing from Atlanta, Georgia. For over 20 years, she has resided and performed in the Lower East Side of New York City where she is a vital and active member of the “downtown” underground performance and alternative cabaret scenes. Most recently, Heather was awarded a 2017 fellowship by HOWL! ARTS. She was the recipient of the The William and Eva Fox Foundation’s and Theatre Communications Group’s 2014 Fox Fellowship in conjunction with La Mama Theater. As part of the La MaMa residency she attended the La MaMa Playwrights Symposium in Umbria, Italy, and studied with Branden Jacob-Jenkins. She premiered her one woman show, Lemonade, at La MaMa ETC in 2016. Lemonade went on to the AfterGlow Festival in Provincetown, MA and the SFX Festival in NYC. This summer (2017), Lemonade, in conjunction with HOWL! Arts, had its European premiere at The Edinburgh Fringe Festival as part of the the Assembly Festival in August of 2017. Heather is a member of Caden Manson’s critically acclaimed Big Art Group with whom she toured extensively: Hebbel Theatre, (Berlin Germany), Festival d’ Autome a’ Paris (Paris, France), Wiener Festwochen (Vienna,Austria), REDCAT (Los Angeles, CA) and Yerba Buena Arts Center (San Francisco, CA). She is currently working with Yoshiko Chuma and the School of Hardknocks on the project, HEY WOMAN!, a flowing resistance activity of monologue and dance. She is a long time Member of the legendary performance night club Jackie Factory. Her credits include performances at a variety of renowned theaters and venues including The Kitchen, La Mama, Abrons Art Center,Dance Space Workshop, Bruno Walter Theatre Lincoln Center, Joe’s Pub, The Wild Project, Judson Church , Pioneer Works, HERE Arts Center, Irving Plaza, The New Museum, The Guggenheim Museum, and BAM Avery Fisher Hall. Her daring film choices include working with director Mary Harron, Jane Campion and Darren Aronofsky. Most recently playing the sexual revolutionary Queen Bee in John Reed’s ReVo and in his The Sky is Blue with Lies. Having a turn Vicky a killer for hire in Director Gustavo Von Ha’s Dumbo. Next year she will be shooting with director Katrina Del Mar in her latest feature, I Got This. 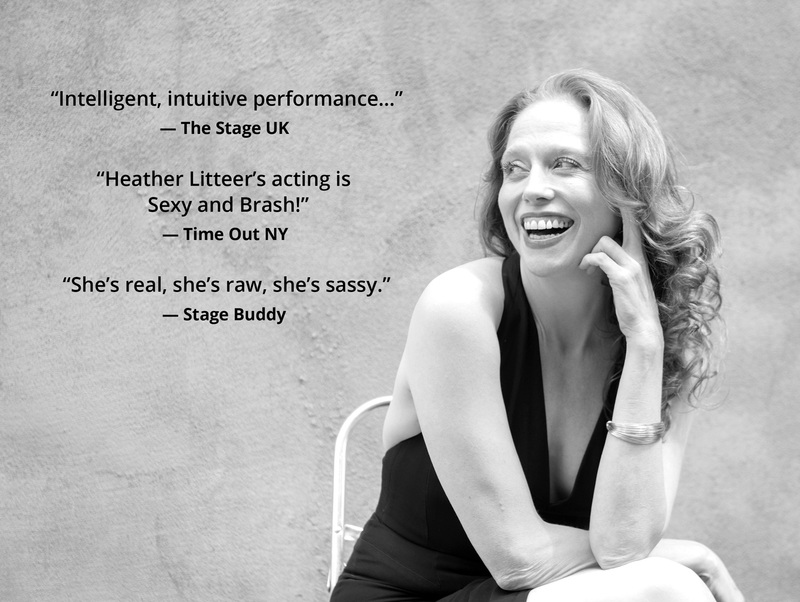 This Fall, Heather will be bringing back her LIVE! T.V. Variety Cabaret show with a rotating array of NYC’s finest downtown cultural divas, Pleasure Seekers, and her reading series W.O.(e).R.D. Woman of Experience read Downtown to HOWL! HAPPENING.